Have you heard about the new 3D version of The Lion King that Disney will be releasing this September? It's the same Lion King movie that we all know and love but redone in 3D. Since this is the first hand-drawn animated movie being released in 3D, I am kind of curious about the 3D aspect but I have been unable thus far to turn up much information, which leaves me speculating about HOW the movie is being made in 3D. What we do know right now is general information about the release of The Lion King on 3D. The 3D version will appear in movie theatres for a very short, two-week run starting on September 16, 2011. After that, Disney's Vault will release the movie in a number of packages. 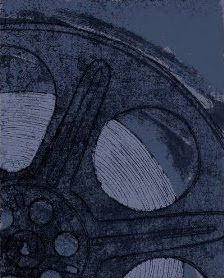 Ranging from a single DVD disc right through to an eight disc blu-ray trilogy boxed set, all of which (except the DVD) will be released on October 4, 2011. If it is the DVD you are after and you want the 2011 version, you will have to wait a bit longer -- until November 15, 2011 when the DVD is set to be released. However, there's no need to wait for the DVD version because it is still available on Amazon from the 2003 Platinum release by clicking right here. To see all of the Lion King blu-ray, blu-ray 3D and DVD options that are being offered in 2011, visit Amazon's Lion King page by clicking right here. Meanwhile, we will have to wait for more information about the process and about the quality of the blu-ray transfer as well as the quality of the blu-ray 3D movie. I do not have much concern that the blu-ray release will be amazing -- I am picturing The Lion King with the best quality sound and video possible -- and I know that Disney does a pretty good job with its transfers. Read more about The Lion King 3D Movie Release. 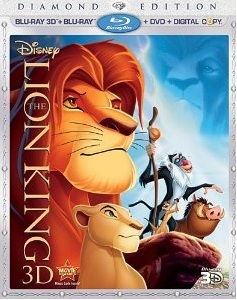 Order your copy of The Lion King on blu-ray disc.